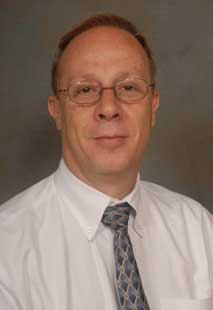 Georges Fadel joined the Department in 1992 from Georgia Tech where he received his PhD and taught from 1989 to 1992. He previously worked in Europe and in the Middle East developing and using large simulation codes. Dr. Fadel is the co-director and founder of the CREDO Laboratory and is a member and fellow of the ASME, and member of SAE, AIAA, ISSMO, ACM, the Design Society, and Toastmasters. Dr. Fadel's research efforts target the design process from early conception to pre-production. They identify and develop theories and methodologies to deal with complex multi-disciplinary and multi-objective design problems. The methodologies are applied to packaging problems (truck, ship loading, under hood of a car, satellites, avionics, etc. ), and to heterogeneous and layered materials manufacturing. The fields of optimization, simulation and analysis, and CAD are essential to these methodologies and are the foundations of supporting work in virtual and physical prototyping, which led to work in collaborative design. Dr. Fadel's group also was the pioneer in the application of affordance theories to engineering design. The papers by J. Maier and Fadel established affordance based design and have since develop a number of practical design tools to help designers become more effective. Dr. Fadel was, and continues to be, an active participant and the lead for Clemson's efforts for the Automotive Research Center, a center of Excellence in simulation and modeling for the US Army. Design methodology and automation, optimization, CAD, rapid and virtual prototyping, IT issues in design. Maier, J., Fadel, G.M., (2009) "Affordance Based Design Methods for Innovative Design, Redesign and Reverse engineering", Research in Engineering Design, DOI:10.1007/s00163-009-0064-7. Tiwari, S., Fadel, G.M., and Fenyes, P., (2008) "A Fast and Efficient Compact Packing Algorithm for the SAE and ISO Luggage Packing Problems" Paper accepted for publication at JCISE. Maier, J. and Fadel, G.M., (2008) "Affordance Based Design: A Relational Theory for Design", Research in Engineering Design DOI 10.1007/s00163-008-0060-3. Baladi, M., Vitali, H., Fadel, G.M., Summers, J. and Duchowski, A., (2005) "A Taxonomy for the Design and Evaluation of Networked Virtual Environments- Its Application to Collaborative Design" submitted to Presence Journal. Grignon, P. and Fadel, G.M., "A GA based Configuration Design Optimization Method", ASME Journal of Mechanical Design, Vol. 126.1, pp 6-15, 2004. Blouin, V. Y., Fadel, G.M., Haque, I., J. R. Wagner, J.R., and Samuels, H.B., "Continuously Variable Transmission Design for Optimum Vehicle Performance by Analytical Target Cascading", Special edition of the International Journal of Heavy Vehicle Systems, Vol 11 No 3/ 4 pp 327-348, 2004. Huang, J. and Fadel, G. M., "Heterogeneous Flywheel Modeling and Optimization," Invited paper, Journal of Materials Design, Dec. 1999.